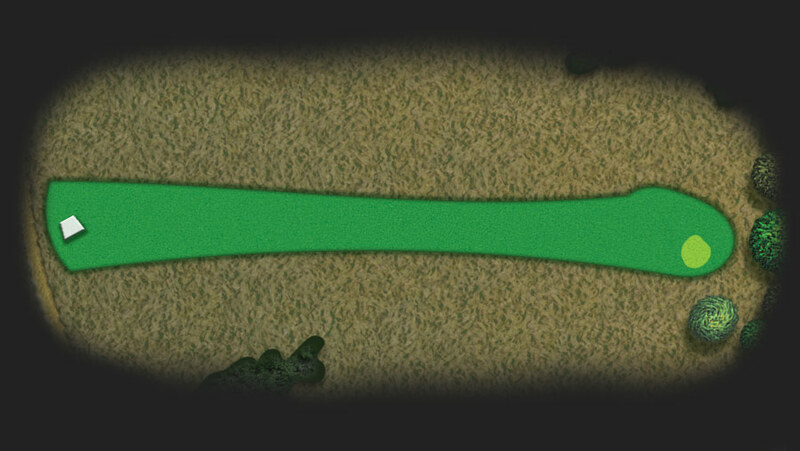 A tricky opening hole requires an accurate tee shot with a mid-long iron to ensure a carry of 140 yards. Danger short and right where gorse awaits. A blind tee shot over gorse. A long iron to the middle of the fairway is a good option. Going for the green is fraught with danger with OOB on the right. A par here is a real bonus. An accurate tee shot over gorse finishing on the wide fairway can give a 2nd shot to the green to gain your par. Beware gorse to the left and right of the fairway and OOB behind the green. 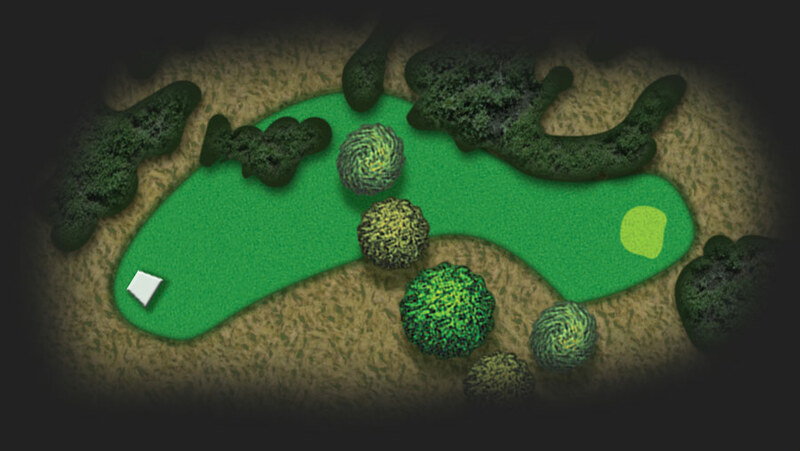 A large target off the tee and a well struck drive to the fairway will put the green in range with your 2nd. 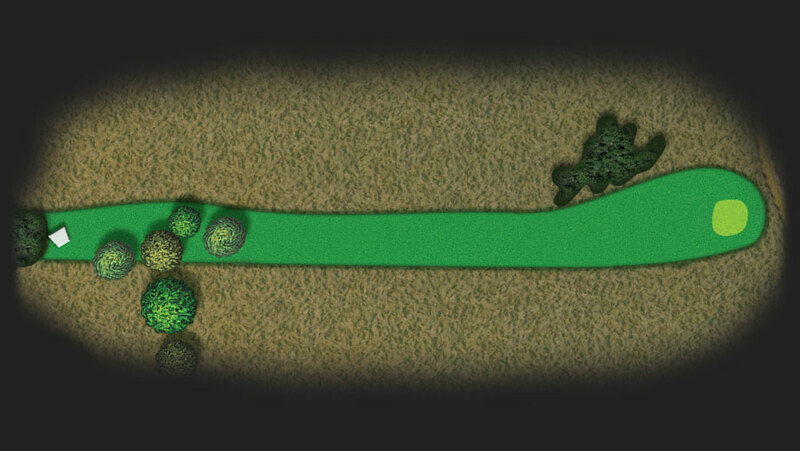 This Par 5 requires an opening drive over gorse and a carry of 150 yards. 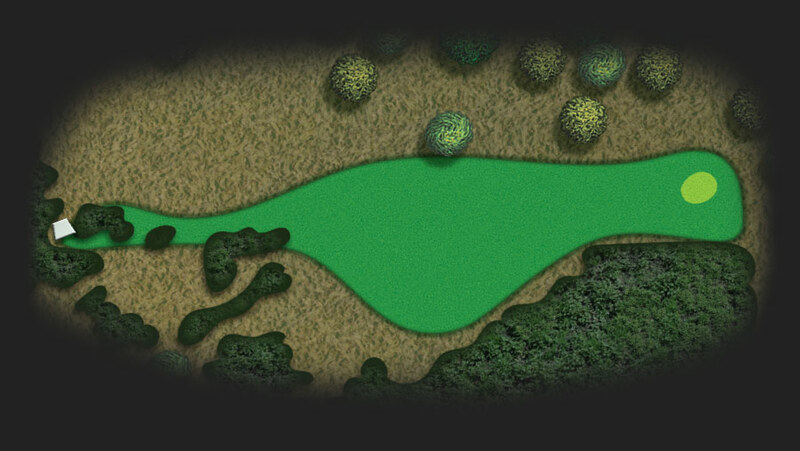 A well placed 2nd will then demand an accurate 3rd shot straight down the middle to the green. Gorse awaits the errant 3rd shot to the left and right with OOB behind the green.. Get your Par and get to the next hole with a smile on your face. This hole has wrecked many good rounds. Playing the tee shot as a slight dog-leg right will avoid the trees and gorse. A high carry of 170 yards if you go straight. Still a good 2nd required to gain your Par. A straight drive should leave an easy 2nd to the green. A good opportunity for a Par or better here. A short iron over gorse with OOB tight left requires an accurate tee shot. Should be a good chance of a Par. 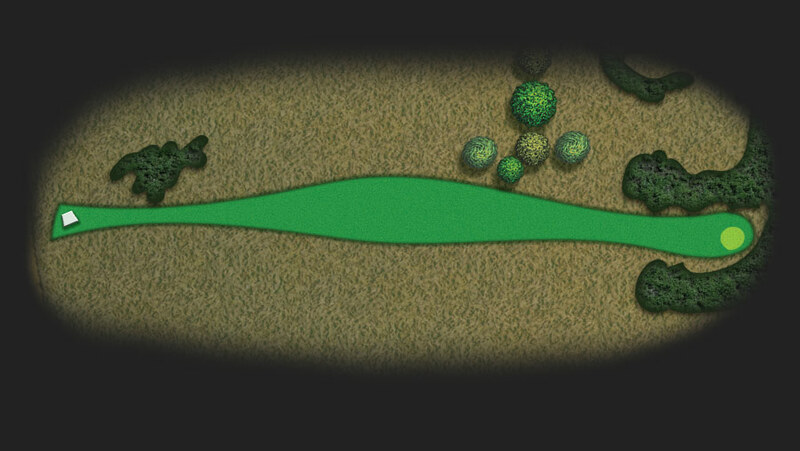 A wide open fairway after carrying the gorse will reward the straight hitter. Danger lies if the drive is too far right. A 2nd shot into the bowled green could bring it’s rewards. Just as tricky as Hole 1 with an accurate drive over gorse and a carry of 140 yards. A long straight hit to the green with trouble left of the green. Get a Par here. A good drive over the gorse is essential. The right is fraught with danger with a carry of 180 yards required to clear the danger. Keep down the middle or slightly left. The 2nd shot needs to be accurate as gorse awaits the errant shot left and right. Get a Par here and enjoy the walk to the next tee. 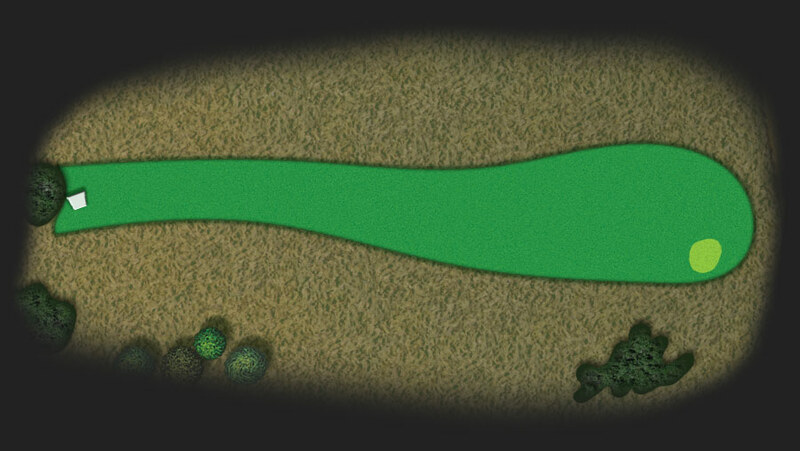 A Drive down the middle of the fairway will leave a long shot in t the green. Little danger on this hole but not an easy par. An easier drive than first time round but the rest of the shots to the green require accuracy. 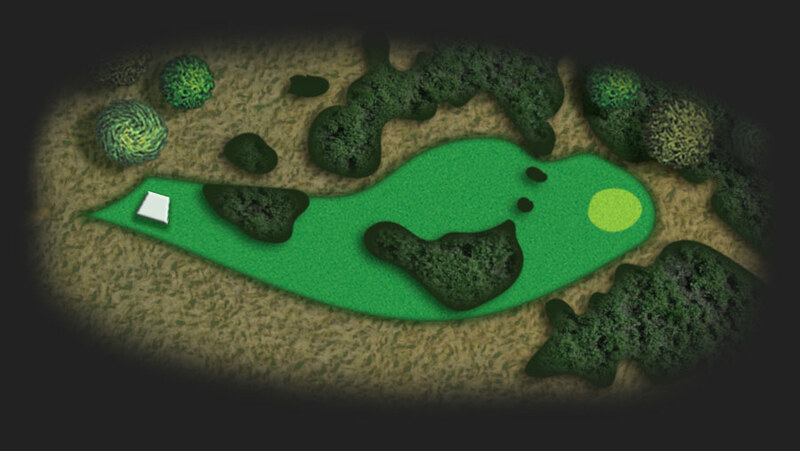 Don’t try to be too greedy on this hole and play with caution. You’ve played this one before so you know what to expect. You can open your shoulders on this one to get as far down the fairway as possible to leave a shorter iron into the green. Get your par and move on. An extra club might be required this time from the back tee. 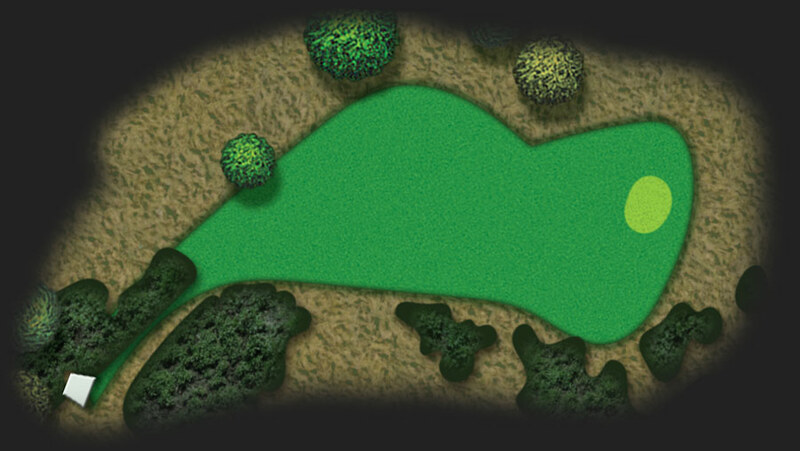 A shot finding the green should give you your par. The home hole . Hit the fairway with your drive. Great 2nd shot to the green. 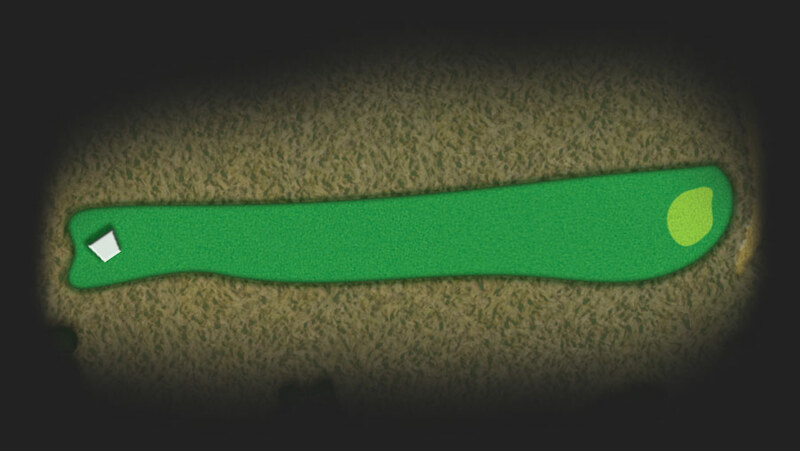 Take your two putt par or better and look forward to your next round.